In the market for a new luxury and performance sedan? Then look no further than the 2019 INFINITI Q50 available now at Bob Moore INFINITI. With a sleek elegant body and a multitude of luxury features, this premium sedan is sure to turn heads wherever you go. It also has more space, more power and more luxury features than the 2019 Mercedes-Benz C-Class, the BMW 330i and the Lexus IS have. But don’t take our word for it. Test-drive yours now at Bob Moore INFINITI and experience all of the amazing features it has to offer. After reading everything the 2019 INFINITI Q50 has to offer, we’re sure you’ve probably given up on buying or leasing those other models. So why not stop by Bob Moore INFINITI today for your new 2019 INFINITI Q50 test drive? 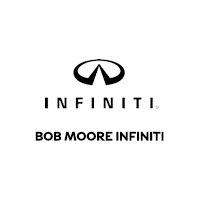 When you shop Bob Moore INFINITI, you know you’re getting over half a century’s worth of expertise in the automotive industry. Representing the gold standard of dealerships, our expert staff, attractive showrooms and state-of-the-art service centers provide a one-of-a-kind customer experience that encompasses great customer service, honesty and respect. Visit us now and choose from our extensive inventory of new 2019 INFINITI models, including the Q50, available at our best price every day.